We have recently updated our Terms and Conditions in line with GDPR legislation. You will need to accept the new terms before continuing to use the Skills Route by clicking the "I Accept" button. We're undertaking routine maintenance on this application which means you can't currently login. Apologies for any inconvenience, and please check back later. This funding will support us to test and refine the current version of Skills Route. And as a result we will be able to further tailor the content and functionality to reflect the user needs that we observe in classrooms and hear about homes across the country. 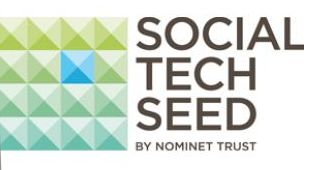 Like us, Nominet Trust believes digital technology is a radical and positive disruptive force for social good and it invests in early-stage projects like ours, to provide support that will help us scale. Their funding reflects the fact that Skills Route is recognised as a new and innovative idea that has the potential to make a big impact. We are particularly proud to work with them as their support reflects our ambitions to have a significant social impact and the research and evidence that exists to support our work. Skills Route are developing a range of tools. Sign up to be the first to know. Got a question or suggestion for us?